Joey Green shares hundreds of little-known uses for well-known products, by just clicking on a product! Visit Wacky Uses. Tracey posts two excellent tutorials on her blog, Giggleface Studios. Her tutorial page is here. Tracey also links to the Tinted Linens flickr group. "Often the expression of joy or affection, illustrated letters represent an irrepressible urge to picture language. They are evidence of the writer's use of words and images to amplify the form and effect of a message. These are drawn entirely from the collections of the Archives of American Art, encompassing exuberant thank you notes, winsome love letters, lively reports of current events, graphic instructions and other personalized communiqués from the early nineteenth century through the 1980s, in each sender's distinctive style." 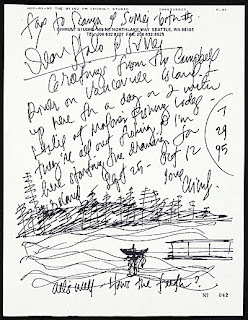 Visit Getting the Picture: Illustrated Letters in the Archives of American Art, Smithsonian. Browse by artist or date. 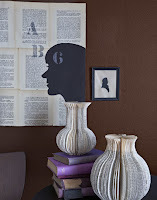 Poetry and prose inspired crafts by stylist Paul Lowe. Slideshow presented by Country Living magazine. 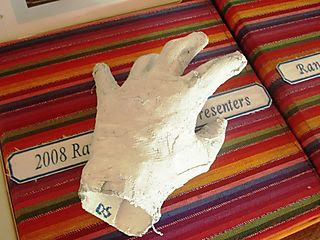 This is for those of you who have to keep little hands busy. This well written and illustrated tutorial from World Preschool Mom (she lives in Fiji!) is creative, reusable and will provide hours of fun. She also illustrates variations in link shape. This technique reminds me of chain making with silver wire. Emily Chapelle's Shisha Tutorial on Joyful Abode is very well done. 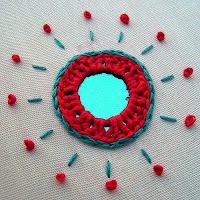 Those red stitches are a woven technique. 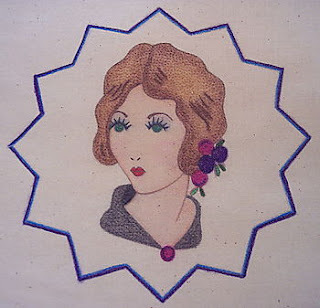 She uses mirrors or paillettes but I would want this technique for pictures on Shrinky rounds. 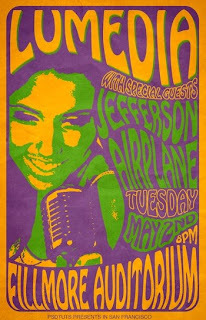 35 Photoshop Tutorials for Designing Your Own Posters presented by Vandelay Design. Dana Coffey, Crazeegeekchick.com, has put together a comprehensive list of portable applications for your USB thumb drive. She says "With traveling and use of many different computers, many geeks (and geek girls) often find a need to have a uniform set of tools handy wherever we may be. I've put together a list of 25 invaluable portable apps that can be installed on an Ipod or Thumb Drive. These are really cool!" Reducing an image to it's fewest essential lines has always been a challenge for me. This Artyfactory article illustrates a progression in thinking. Pablo Picasso created 'Bull' around the Christmas of 1945. 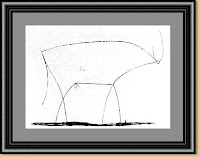 'Bull' is a suite of eleven lithographs that have become a master class in how to develop an artwork from the academic to the abstract. 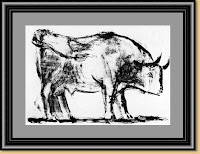 In this series of images, all pulled from a single stone, Picasso visually dissects the image of a bull to discover its essential presence through a progressive analysis of its form. Each plate is a successive stage in an investigation to find the absolute 'spirit' of the beast. Remember this from the July 23 post. ? Go see what garnered stitches is making from this inspiration picture. She and her daughter set themselves a weekend challenge and tantalize with a big reveal Monday evening. I would not have known had I not tracked back. Her posts date Aug.22 thru 24 so far. If just one person gains something inspirational or useful from this blog, then I am overjoyed and consider my work successful. YAY! It doesn't have to be Valentine's Day to be inspired. "Secured by the Whole Stock of Truth, Honour, and Affection"
Click this picture for closer look. The blue title above is the link. Amy (Craft Chi)has done it again. 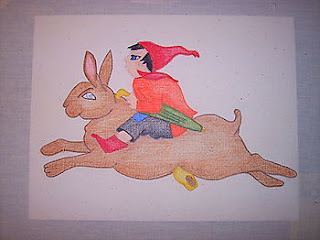 She produces high end looking art and products with everyday, easy to find items. 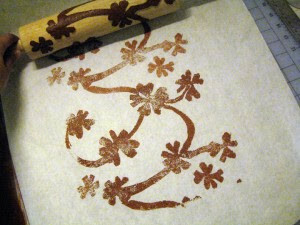 Her tutorial for rolling pin prints is outstanding. Hey! Even I (or you) could do this. For those of us who think letterforms are art. See this post on BibliOdyssey. Thanks peacay, I am in love with your mind. The ever creative and classy Junie Moon has posted a rubber stamp carving tutorial. Of particular interest here is the method she uses to transfer her design to the block. It's one I've used many times and also works on wood and metal. When I do it to metal, I heat the metal sheet on a griddle first. On metal this method also works great as a resist when etching with chemicals. I use the liquid from Radio Shack that is for etching circuit boards, I forget it's name. Be sure to check June's sidebar for her complete list of tutorials. She's a wonder. This post is for Kim whose son is interested in graffiti art. My concern is the ability to practice the art without getting arrested. Neatorama has an interesting post about Paul Curtis who creates his art by cleaning the surfaces. There is also a link to an NPR interview. 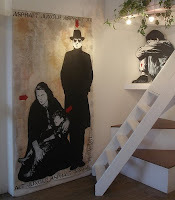 Then there's this Flickr set by Jef Aerosol who has elevated graffiti on unstretched canvas into important pochoirs. While I'm on the subject of making candy these two sites are interesting. This first is a recipe posted on epicurious.com. Then there is a recipe for jello gummies on EasyFunSchool. I liked this tip on ChowHound.com. "The idea of making a grooved rack by pressing aluminum foil into a baking rack sounds good. Gummi ropes could easily be cut into gummy worms." I would be combining this info and making fruit juice gummy worms. Corner-store treats go high end. The wonderful site, ChowHound.com, has recipes and downloadable wrappers for making your own versions of Peanut Butter Cups, Almond Joy, Twix, and Snickers. They have also rated the recipes for difficulty. "Diane Gilleland interviews the super-wonderous, crafty-marvel, Meggiecat." Yes, me. I couldn't believe that Diane found me worthy but I'm tickled pink! I'll post a direct link when the article is published. Steve Winwood was in fine form but the Heartbreakers and Tom Petty really rocked it. It was 96 degrees, beautiful sunset then full moon and stars. 20 thousand hot, sweaty, happy people dancing and singing. Last night goes to the top 10 of my concert favorites. I thought Mark Knopfler was great last month but the experience in this venue was nothing short of spectacular. I stood through the entire set! I can do it if I want it enough. The band played a great rendition of Gloria during the encore; the place was rockin'. Here is a good YouTube Video of it. We left the amphitheater about 1 AM and arrived home about 7 AM. It's been a long time since we had an all night date. My husband snapped this pic of me during a rest stop on the way to the concert. Click the pictures for larger versions. I'm starting to accept my wrinkles......I earned them. In the past I've tried to keep personal stuff out of this blog. I'll be sharing a little more in the future for friends and family. Hope you don't mind. My husband and I have attended rock concerts for the last 30 years and always have a great date when we do. 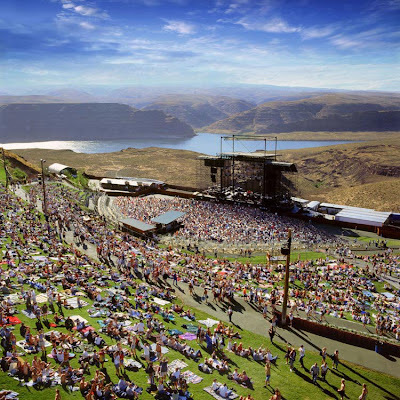 Tonight we are headed for the Gorge at George Amphitheater in Washington. 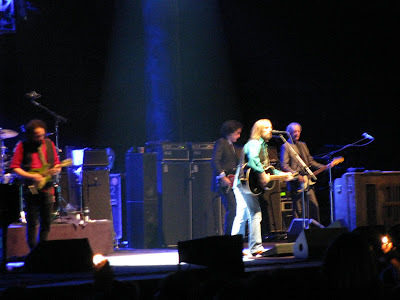 Tom Petty and the Heartbreakers with Steve Winwood as the opening act. We will be in row 26 in the center of the section left of the stage. I haven't been in a venue this large since I lived in Colorado and last saw the Doobies at Redrocks not long after my radiation therapy. My husband had to practically carry me out of there, I had danced too much. Now I have to pray that everybody in front of me doesn't stand the entire time since I can't dance the night away. I've had some fear about this venue.....look at how large it is! That is a lot of walking. Think of me tonight still rockin' out. Tom Petty AND Steve Winwood. Wow. Tutorial from perpetualplum. I love that these baskets can be stored flat when not in use. It's early but never too early to start thinking about Christmas products and gifts. Multiple Choice: From Sample to Product examines sampling formats from the collections of Cooper-Hewitt, National Design Museum and Smithsonian Institution Libraries, which illustrate a vast selection of available design options and make the connection between samples and final products. 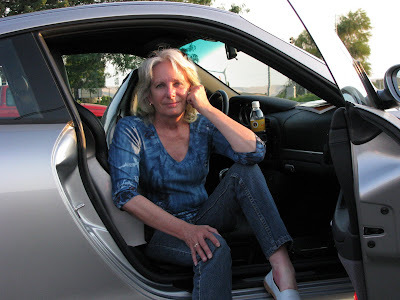 My interest is in product development, marketing and examining methods used to create product awareness and demand. This web companion to the exhibit at Cooper-Hewitt is a small peek into the techniques of the past. Companion to a 2007 exhibit that "traces the evolution of snapshots in America from 1888, when George Eastman introduced the first Kodak camera, to 1978." Flip through an online book to view snapshots, "photographs usually made by amateurs and intended to document personal history. ... Their casual, loose style has influenced fine art photographers as well as other artists." From the National Gallery of Art, Washington, D.C.
November 22, 1963. My 13th birthday. I am rejuvenated, refreshed and had more fun than I have had in many years. This was my first ever "me time" vacation. My dear sister, Elizabeth, pampered me and I spent many hours in her backyard living as a cat. I did not have to do anything but be. I called it time spent at "Spa Sister"
Then there was my 40th high school reunion. It was for both high schools in our town and most people were from classes '66 through '69. I am class of '68. It was up there as one of the best parties ever! Many of us stayed at a nearby Hilton the night of the reunion. I had adjoining rooms with Ann and Susan who I had not seen in 40 years. We laughed and had a great time before the party and would have been more than satisfied sharing time with each other had the party been a dud. 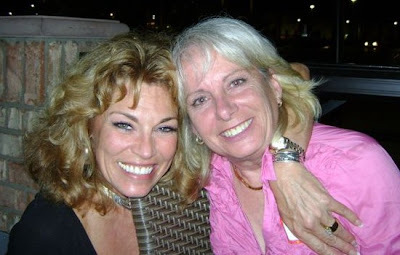 This picture of Susan and me was taken at the reunion. There are more pictures on other people's cameras that I'm hoping to get. Susan had come to my sister's home and treated me to a great haircut in the backyard. We were together when the earthquake hit. She is so much fun and as beautiful inside as out. As I stepped out of the taxi and saw the party spilling out of the patio at Schmidt's I wondered "Who are all those old people?" Then I knew it was us. Throughout the evening I came to the realization that each of us were the still the same only better. We had aged like fine wine. All had been tested by fire, experienced joy and deep sadness. I sensed an aura of contentment, that we are happy with ourselves and had learned much on the paths our lives had taken. It was wonderful to see siblings, childhood sweethearts still together and gather news of those who weren't attending. There were poignant moments, too, as I learned of classmates no longer with us, the damages of life and the Vietnam War. It was with trepidation that I asked after parents who had kept a watchful eye on me. My sadness on hearing of some passings and joy that many parents are living incredible lives still. I'm in awe of us. We were cool then. Still are. P.S. I got a couple of "Damn, you're hot" comments, always good for a girl's ego. One man asked "How did I miss you?" My reply "4'11", braces, dork, straight A girl" Another man asked about the reason I have difficulty walking. "It's a boring, old lady story that I don't want to tell" From someone behind me in the group I hear a "Right On!" God forbid I ever turn into that elderly woman only too happy to explain her list of maladies! The party was an injection from the fountain of youth and still feels really good.